The L.A. 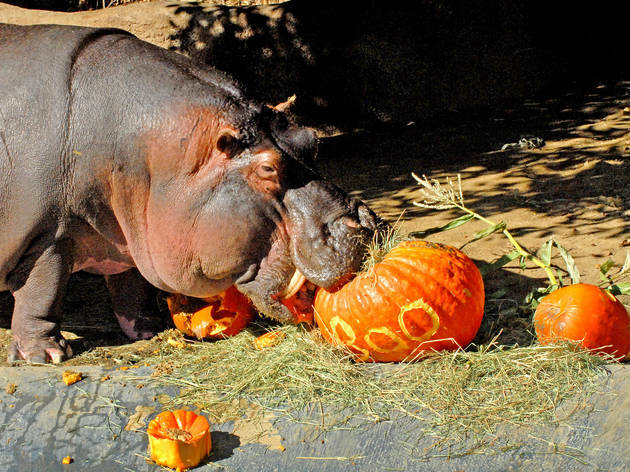 Zoo's annual Halloween celebration includes a month of spooky tales, puppet shows, pumpkin carving and up-close-and-personal interactions with some of the zoo's creepiest crawlers. Each day you'll find photo ops, an adventure maze and a chance to get up close with the creepy crawler-filled caves of the L.A.I.R., while weekends throw in a puppet show and pumpkin workshops. 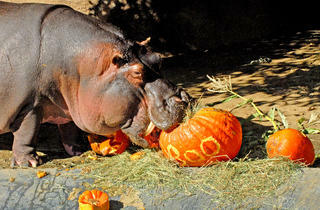 The animals typically get in on the Halloween action, too, with pumpkin or carcass feedings scheduled over the weekends. Show up on October 28 or 29 for trick-or-treating.